“Hypoglycemia, the Blood Sugar Roller Coaster” infographic educates patients and healthcare professionals about low blood sugar. To view the infographic in high resolution, please click on the image to view a PDF version. Want to view this infographic in French? Click here. 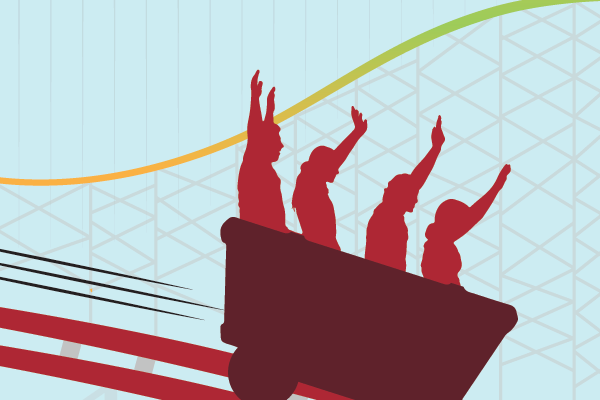 What are the experts saying about the Blood Sugar Roller Coaster infographic? Hypoglycemia (low-blood sugar) is one of those conditions that is ubiquitous in the patient population, is associated with numerous adjunctive diagnoses, fasting and postprandial states, and has many possible antecedents. The most predominant causes of low-blood sugar are related to diet, stress, lifestyle, and medical conditions. The infographic created by the Hypoglycemia Support Foundation tackles the difficult task of describing hypoglycemia, and provides common-sense advice that can be life-changing for many who may have been told ‘It’s all in your head!’, ‘you have an overactive pancreas’, or ‘just eat more sugar when you feel low’. The infographic allows the patients to do a root cause analysis and develop strategies to gain control of hypoglycemia. Hypoglycemia is usually unrecognized and often misdiagnosed. This important infographic is a great tool for patients to recognize the signs and symptoms of hypoglycemia and how to care for themselves if they have it. It is especially useful for those who have been told ‘it’s all in your head. Very few people understand how important it is to have an even flow of energy (glucose) to our cells–especially our brain. I am so happy to see a hypoglycemia website and infographic that provide real solutions for people who experience the blood sugar roller coaster. A busy lifestyle, stress, and fast / processed food lacking nutrients – all wreak havoc on blood sugar and health. It is wonderful to see the resources provided by the Hypoglycemia Support Foundation. Providing both medical professionals and individuals information about the symptoms, diagnosis and potential treatment option for “hypoglycemia” is so critical. Many individuals have suffered from symptoms for years but never knew they had “hypoglycemia.” This infographic created by HSF provides an education resource that is invaluable to both these individuals and medical professionals. Increased knowledge about hypoglycemia will help prevent more serious metabolic conditions and improve quality of life. Long before you get diabetes or heart disease, low blood sugar sends a variety of warnings, like a ‘canary in the coal mine.’ This condition is now so widely experienced that it seems “normal” to many – low blood sugar is NOT normal. Low blood sugar (LBS) or hypoglycemia is a REAL health condition linked with many symptoms that affect your quality of life. Over medication, IS NOT the only cause of LBS. When your body cannot handle blood sugar normally, it can lead to high or low blood sugar. You can help normalize blood sugar, improve energy, control appetite and escape low blood sugar symptoms by eating a healthy nutrition plan that targets LBS (this means consuming mini-meals throughout the day that contain small amounts of fiber-rich low carbohydrate foods). The Hypoglycemia Support Foundation cares and is committed to helping both the public and health professionals recognize the symptoms and provide solutions to treat LBS as a medical condition. Learn more about LBS through this easy to understand infographic. Please join us and share in this educational initiative that will help save lives. This infographic on hypoglycemia brings a new level of awareness and understanding to a condition that is suffered by many needlessly. Understanding and resolving hypoglycemia requires a holistic approach that looks at diet, lifestyle, stress and medical conditions. The HSF has created an educational resource worthy of sharing with my patients as well as with other doctors. As a cardiologist, I’m aware hypoglycemia (low blood sugar) can be caused by many possible medical conditions, but diet-related issues are among the leading causes. This new infographic by the Hypoglycemia Support Foundation provides an excellent blend of science, medicine, and practical information that can help sufferers of hypoglycemia see the condition as an opportunity to avoid more serious metabolic conditions – if appropriate actions are taken. I hope healthcare professionals embrace this new educational tool provided by a respected patient advocacy organization. Hypoglycemia is usually diagnosed as “something else” and most doctors don’t appreciate its impact, therefore people need to be armed with the appropriate information. Because long before you get type 2 diabetes or heart disease, low blood sugar, also called hypoglycemia, sends you insistent warnings, like a “canary in a coal mine,” while you still have time to spare yourself. The gift messages take many forms: anxiety, depression, physical and mental fatigue, brain fog and cravings – all with the same greeting: ‘Change while there’s still time.’ Assuming you listen and act, it could save you a lifetime of unnecessary suffering. The Hypoglycemia Support Foundation Infographic is highly informative, offering scope, context, and useful, practical solutions. This should be in the office of doctors and other health professionals offering adjunct guidance for their patients. – Patty James, M.S., C.N.C. As a practicing doctor on a mission to radically extend healthspan and maximize human potential using scientific wellness, technology, educational media, and lifestyle medicine, I’m aware that many suffer from diet-related disease that is entirely preventable. While there are many possible reasons for low blood sugar or hypoglycemia to occur, the leading causes of blood sugar irregularity are clear: diet, stress, lifestyle, and medical conditions. The comprehensive infographic by the Hypoglycemia Support Foundation (HSF) is a huge step forward in educating both patients and health care professionals about the blood sugar roller coaster – and what can be done about it. Kudos to HSF for translating the current science and medicine on this important issue in such an informative and visually appealing manner. Cliquez ici pour voir cette infographie en français!